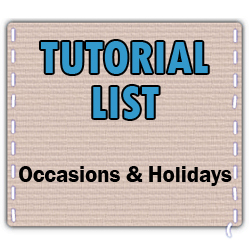 Here are links to an almost completely thorough list of the tutorials that are available on Craftster's Occasions and Holidays boards. Some tutorials were excluded for lack of clarity and no tutorials listed solely on other sites were included. Ahh, it's a beautiful thing!! They are great for making cheap party decorations, banners, gift toppers and the like. Right now, we only list tutorials in the list for the board they're posted on. If that changes, though we can! Started to learn ironworks lately. Really difficult thing but very challenging also. Found some really nice works by Estonian blacksmiths.